Skaniakos, T. and Piirainen, A. (2019) 'The meaning of peer group mentoring in the university context ', International Journal of Evidence Based Coaching and Mentoring, 17 (1), pp.19-33. DOI: 10.24384/EKNZ-S730 (Accessed: ). Communal aspects of learning have been well recognized in educational research. Social theories in particular have emphasized the social context and the role of human interaction and collaborative learning (Vygotsky, 1930) and learning communities (Wenger, 1998). The traditional educational context of learning is built on teaching groups. In this respect, higher education is no different since the vast majority of the teaching modes deal with groups of different sizes, often large groups of students (Mulryan-Kyne, 2010; Altbach, Reisberg & Rumbley 2009). In this article we examine the role of peer group mentoring in higher education. The studied peer groups are formed by both students and teachers in the context of teacher education. The study is a synthesis of the findings of two primary studies: teacher students’ and teacher group tutors’ conceptions of peer group mentoring. The analysis is thus a meta-analysis of two qualitative research studies and the aim is to promote understanding of peer groups (Timulak, 2007, 2009). Both of the primary study materials are experience based: the analysis builds on participants’ personal written texts. The participants have been involved in peer group mentoring for at least eight months, all in a university context. These separately conducted primary studies have focused on the same phenomenon of peer group mentoring, but the contexts of the two studies were different. The research question of this meta-analysis is: What does peer group mentoring mean in higher education? The theoretical framework is built on theories of peer group mentoring and small groups. The two primary studies were first conducted separately as phenomenographic analyses. In the current study we have synthesized these results by utilizing the method of meta-analysis (Finfgeld, 2003; Timulak, 2007, 2009). It is not an analytical technique itself but rather an approach, as a result of which a new synthesis is formed by integrating primary qualitative research results (Sandelowsky & Barroso, 2007, p. 199). A very similar approach has been utilised by Hökkä and Eteläpelto (2014), in which they based the meta-analysis on four previous studies, which were based on the same empirical data and in which they had been involved as researchers. The meta-analysis thus provides a secondary qualitative analysis, which enables a more comprehensive and in-depth understanding of the phenomenon in question. For the teacher, working with a group or groups of students is a common teaching formation. However, there is a great variety of pedagogical choices one can make with the groups, depending on certain elements, such as class size. The post constructive theories of teaching and learning have emphasised student-centeredness in order to engage students in learning (Biggs & Tang 2011). Hence the importance of groups becomes even more important and an element enabling learning with peers. However, the phenomenon and potential of learning and mentoring in peer groups has not involved a great amount of evidence-based research. The primary studies were conducted in contexts where peer mentoring groups have functioned as part of the educational programme for over ten years. The need to explore this phenomenon is thus general and particular in these specific contexts. When discussing peer group mentoring there are several related concepts, such as peers, peer learning, mentoring, and tutoring. The term ‘peer’ refers to another person with a comparable position as the other persons involved (SunWolf, 2008). The awareness of ‘peerness’ and feeling of ‘sameness’ can enforce social support within the group. In a group the members should know the common denominator and feel equal in regard to at least one element, such as age, background, experience, social or other situation (SunWolf, 2008). Peer learning and other collective forms of learning have become central as part of the shift from the teacher/teaching centered towards the student/learning centered paradigm. The learning of the students with and from each other through active participation, which is facilitated by the teacher, has brought peer interaction into the focus of learning. The idea itself is not new; in adult education peer learning has been considered one of the main features of adult learning (Boud, 2001). They emphasise the importance of the discussion method, and the discussion group is at the centre of learning. Communal aspects and dialogue have been emphasised also in critical (e.g. Freire 1970) and feminist pedagogy (e.g. Hooks 2003). Having a long tradition in the history of education, peer tutoring and mentoring are most commonly used for didactic and learning purposes, and the related research has also primarily focused on teaching and learning topics such as approaches to studying and academic outcomes, assessment, self-efficacy beliefs, and developing generic skills through peer teaching (Ashwin, 2003; Boud, Cohen, & Sampson, 2001; Cinici, 2016; Stigmar 2016). These concepts are also very closely related and there is often confusion related to them in the literature (Topping 2005). Peer tutoring is understood as a form of peer teaching and characterised by the specific role-taking of tutor and tutee. It typically has high focus on curriculum content, and there are specific guidelines for interaction and provision of structured materials, schedule and objectives (Topping 1996; 2005). Peer mentoring is usually a relationship between mentor and mentee, where the mentor is senior or more experienced compared to the mentee. Jacobi (1991) has identified three components of the mentoring relationship: (a) emotional and psychological support, (b) direct assistance with career and professional development, and (c) role modeling. In peer group mentoring the traditional mentoring idea shifts in two ways. Firstly, peer group mentoring differs from a typical hierarchical mentor-mentee relationship (e.g. Quinn, Muldoon, & Hollingworth, 2002; Thomas, Bystydzienski, & Desai, 2015). The main features of peer group mentoring according to Kroll (2016) are distribution of power and authority, flattening of hierarchy, increased confidence, better self-understanding, and professional development. The role of the “mentor” shifts within the group, and Huizing (2012) has identified this type of peer group mentoring as “many-to-many-mentoring” (MTMM). Similar activities have been described as peer mentoring circles (Darwin & Palmer, 2009). Secondly, the central aspect in peer group mentoring is the group. Theories on groups have largely been addressed in the field of social psychology, and the themes focus on group processes and group dynamics (e.g. Bion 1961). Research on small groups is however carried out in various fields and there are numerous approaches to understanding how groups work. Poole, Hollingshead, McGrath, Moreland and Rohrbaugh (2005) have edited a book of comprehensive presentations of nine theoretical perspectives from which small groups have been examined: 1) functional perspective; 2) social network perspective 3) social identity perspective; 4) symbolic-interpretive perspective; 5) conflict-power-status perspective; 6) feminist perspective; 7) psychodynamic perspective; 8) temporal perspective, and 9) evolutionary perspective. Peer group mentoring, often taking place in groups, has been an important instructional and guidance practice for freshmen at the higher education context (Skaniakos, Penttinen, & Lairio, 2014; Hall & Jaugietis, 2011; Heirdsfield, Walker, Walsh, & Wilss, 2008; Mee Lee & Bush, 2003; Rodger & Tremblay 2003). Its benefits have been studied among first-year students, especially the support and psycho-social function providing socio-emotional and cognitive support, facilitating the transition to the university, retention, and skills development (Black & MacKenzie, 2008; Breen, Drew, Pike, Pooley & Young 2001; Glaser, Hall & Halperin, 2006; Holt & Lopez, 2014; Krause, 2005; Terrion & Leonard, 2007; Wilcox, Winn & Fyvie-Gaud, 2005). Peer group mentoring has been found to support personal and social dimensions of professional development of teachers (Geeraerts, Tynjälä, Heikkinen, Markkanen, Pennanen & Gijbels, 2015; Heikkinen, Tynjälä & Jokinen, 2012), of junior faculty members in psychiatry (Moss, Teshima & Leszcz, 2008) and during career changes (Collins, Lewis, Stracke & Vanderheide, 2014). In our study the phenomenon of peer group mentoring refers to a certain kind of functionality, a structure of peer groups throughout the educational processes, which last for 8-9 months. The groups work as non-hierarchically as possible, sharing and learning from each other, and therefore they are seen as peer mentoring groups. This is an important element in the structure of the programmes and has been recognised as a meaningful element. However, there has been no research on or evidence of what this kind of structure means for the group and group mentoring phenomenon. Researchers should explicitly justify the selection of their research material in meta-analysis (Timulak 2009). The two primary studies of teacher students’ and teacher group tutors’ conceptions of peer group mentoring were selected because they have both focused on the same phenomenon and the analysis has been conducted with the same methodology. Consequently, in order to create a broader and more comprehensive picture of the phenomenon, this approach provided us with a good opportunity for rather consistent meta-analysis. The first primary study investigated the conceptions of eight teacher tutors, who each tutor a group of teaching students in Pedagogical Studies in Adult Education (PSAE). The material was collected in 2011 and the results were published in an article Piirainen and Skaniakos (2014). The second primary study investigated he conceptions of 65 teacher students in Pedagogical Studies in Health Sciences Adult Education (PSHSAE) at the Faculty of Sport and Health Sciences. The material for this study was collected in 2009-2012 and the results were reported in Piirainen (2014). Both programmes run at the University of Jyväskylä, Finland. The programmes have many similarities in their structure and implementation methods. PSAE has been running since 2001. The target group for PSAE is educators working within the broad field of pedagogy, including teachers at various institutions and levels of education. The main purpose of PSAE has been to provide a programme to enable teachers already working in the field to acquire pedagogical qualifications. The underpinning for PSAE were initially experiential learning theories, particularly those of Kolb (1984) and Mezirow (1991) (in Malinen, 2000); the aim was to build the programme on the basis of the students' own personal experiences. The teacher education programme in Pedagogical Studies in Health Sciences Adult Education (PSHSAE) is also based on very similar principles of adult learning. Both programmes rest on three andragogically formed principles: personalized learning, inquiring attitude, and dialogue. All students make personal study plans and set goals for their personal development at the beginning of their studies. Structurally both programs last for one study year (PSAE 8 and PSHAE 9 months) and consist respectively of eight and nine contact periods (4–3 days). In between the students do individual work (learning diaries, book reading) and teaching practice. In the contact period there are expert lectures and learning activities, thematic groups chosen by the students, reading circles, and one day when peer groups of some 8 to 10 students meet to discuss and reflect on aspects of the studies. The peer group activities include dialogue and various learning activities related to the learning diaries and other contents of the studies. “Talking rounds” is a common practice used in each group to begin and close a day. The participants of the peer groups present videos of their teaching in these home groups and they are discussed together. The structures of the programmes have been visualised in Figure 1. There are several types of groups in both programmes. The basic structure is similar: the main learning unit is the learning group (in grey), which consists of 8-12 students that meet regularly in every contact session and in-between work online. In PSHSAE there are two and in PSAE 6-8 learning groups depending on the intake of students. The learning groups constitute the process groups, which remain the same throughout the programme and support the learning process. The groups are not tightly supervised or led, but the aim is to foster the teacher students’ mutual sharing and collaborative learning. These learning groups are what we call peer mentoring groups. In addition, learning groups are divided into two reading circles, which meet a number of times to discuss relevant literature. The learning groups in each programme form the large study group, both of which form the large lecture group. In PSHSAE two learning groups were studied (primary study 1). In PSAE the focus was different. Each learning group has one teacher tutor, who works with the learning groups, and the tutors form their own peer mentoring group, which was studied (primary study 2). The tutors’ peer mentoring group convened before and after every contact session. The material of the primary studies consists of 606 written pages (578 by teacher students and 28 by peer group tutors). The participants in the first primary study were 65 teacher students, who were chosen to be educated in andragogical health science teaching and had started their studies at the University of Jyväskylä in 2009–2012. The data were gathered by using a learning diary, which was written during the process and collected at the end of the studies as a portfolio. The theme of the learning diary was “the meaning of the peer group in your learning”. The participants in the second study were eight teacher tutors who have been working for at least two years as group tutors in Pedagogical Studies in Adult Education. The tutors were approached and asked to write one theme text on two topics: 1) describe yourself as part of the teacher tutors peer group and 2) describe the meaning of the peer group to your work as a teacher tutor and to the whole programme. Eight tutors responded. Phenomenography can be used as a methodological tool to investigate individuals’ conceptions of different things (Marton, 1981, 1995; Marton & Booth, 2009). According to Marton (1981), two perspectives can be distinguished in the phenomenographic study of a phenomenon: the first-order perspective and the second-order perspective. In this study, the aim is to describe the reality of peer group mentoring from the second-order perspective in the way that a specific group of teacher students and peer group tutors conceives it. The second order emphasizes the social and constructive construction of reality. Reality consists of meaning interpretations and interpretative rules, and the world of conceptions is not manifested to an individual as such but through the relationship that the individual has with the world (Uljens, 1996 p.112). In phenomenographic studies, the participants’ conceptions are presented in descriptive categories, often referred to as ‘categories of description’ that illustrate the variation in how the participants understand the phenomenon in question (Åkerlind 2005; Marton and Pong, 2005; Uljens, 1996). The assumption is that the categories are hierarchical in nature. In other words, categories or conceptions lower in the hierarchy can be seen as less complex or less developed than conceptions higher in the hierarchy (Åkerlind, 2008; Marton and Pong, 2005). The categories describe the participants’ conceptions on a collective level, that is, they represent collective human experience (Marton and Booth, 2009). In the primary studies, phenomenography was used as the analysis method in understanding the conceptions of peer group mentoring. The phenomenon was explored from teacher students’ and peer group tutors’ point of view. In the analysis process the individuals’ conceptions are formed into themes, variations of themes and descriptive categories, which describe the peer group mentoring phenomenon in teacher education. The categories have been identified to be hierarchical, and accordingly it can be expected to remain structurally hierarchical in the new categories of description. (Paakkari, Tynjälä, & Kannas, 2011; Åkerlind, 2012). The themes of primary study 1 were the nature of knowledge and reflection, learning to teach, situation, ethicality and co-operation (Table 1). The themes of primary study 2 were Growth as a peer group tutor, Provided well-being, Appreciated belonging and Developing education (Table 2). Both the definitions of categories provided in the primary studies and paradigmatic examples of identified categories serve as the data for the metastudy (Finfgeld, 2003). As a result, conceptual core categories of peer group mentoring in adult education were formed. Variation theory functions as a frame for phenomenographic meta-analysis. The main idea is the second order perspective, when the objects of the study are the conceptions of the peer group mentoring, not only the description of the peer group (Marton & Booth, 2009, p. 119). Conceptions are studied on the basis of the interpretations and understanding expressed by the participants, while emphasizing their differences, and relational and contextual nature (Marton, 1981, p. 114; Åkerlind, 2005). The analysis is two-fold. In the first phase, both of the primary studies were conducted according to a similar procedure. The texts were scrutinized and all conceptions related to the peer group phenomenon were identified. The recognisable ideas were identified and grouped into themes based on similarities. As the analysis deepened, the emerging themes started to form a systematic construction, in which the themes were embedded one within the other when moving on to the next hierarchical levels. The procedure included first, identifying the conceptions from the texts and organizing them into themes, which were named. Then we looked for the inner relations of these themes, i.e. the variations of the themes (Tables 1 and 2). In the second phase the variations of the themes formed the categories of description. The variations of the themes formed their own hierarchy, in which the first level variations form Category I and answer the questions related to the critical aspects of the peer groups. This forms the basis for the next level categories. Each new category widens the perspective of the phenomenon (Åkerlind, 2012). The different materials in the primary studies produced different results in the order and structure of themes, variation of themes and descriptive categories, as seen in tables 1 and 2. However, they express similar aspects of the phenomenon of the peer group mentoring. In this section we have described the primary studies from which were extracted the teacher students’ and peer group tutors’ conceptions of peer group mentoring. The categories express the results and outcomes of the peer group mentoring activity at the level of the phenomenon. In the following we are going to concentrate on the next level of analysis in order to build a more in-depth understanding of the peer group mentoring. In the description of meta-analysis by Timulak (2007) the analysis results in core conceptions. Usually, a new hierarchy of these conceptions is not created, because the texts and studies under analysis can vary a great deal in materials and methods (Timulak 2009). However, as we proceeded with the analysis we discovered that as the primary studies on the same method were analyzed, the hierarchy started to appear and it seemed necessary to take it into consideration. We started with the conceptions identified from the primary studies. These were clustered into groups that were identified as basic concepts. The themes are common to both studies, and even though they are manifested differently, they formed the hierarchically organized conceptions of peer group mentoring, that is, the variations of basic concepts. Each level of the variation of the basic concepts forms one core category. Core categories are always hierarchical and therefore the analysis must proceed from the first level of the basic concepts to the last, with a new level always based on the previous ones. The first level of the meta-analysis was thus the formation of the new basic concepts describing the peer group mentoring phenomenon in higher education (Table 3). There are no identical concepts in this meta-analysis compared to the themes in the primary studies. Every basic concept includes themes from both earlier studies. 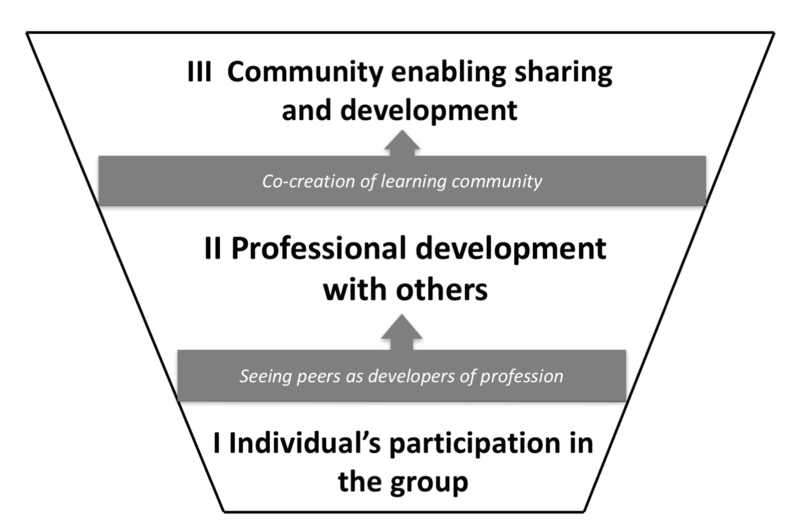 As a result of the analysis three core categories of peer group mentoring phenomenon were found: 1) Individual’s participation in the group, 2) Professional development with others, and 3) Community enabling sharing and development. The first core category forms the narrowest level in the hierarchy of the categories. It describes the personal level of individual being, belonging and participating in a group. Four of the five basic concepts appear in this category, but it failed to include critical attitude. The level of the first basic concept (being in the group) in this core category is about security and belonging as a member of the group. After that it is possible to attain the level of the next basic concept, otherness in the group. This refers to the group where others are mirrors for my own reflection, how “I” look in relation to others. The third basic concept of one’s own professional development is manifested here as one’s own personality and identity, still focusing on the personal level and formulating the level of the self. In the primary studies there was a difference in this respect. Within professional development the teacher students’ conceptions were more focused on teaching activities, whereas the teacher tutors’ focus was on group counselling. The fourth and last basic concept (developing educational program) represents for the teacher tutors’ the individual's commitment to the group and the possibility to develop the educational program, and a common space to develop education for teacher students. The first core category describes the individual's role and participation in the group, where the self is reflected upon the other members of the group. Therefore the main purpose of the peer mentoring group is to support selfhood. The second core category, professional development with others, widens the first core category and thus broadens our understanding of the peer group phenomenon. This core category manifests itself in all basic concepts. The difference in comparison to the first core category is the change in the relationship of the self and others. The group becomes about “us”, with “we” as individuals all contributing to the activities. In this category the first level basic concept is developed from security and belonging into the creation of an atmosphere that treats group members equally and is supportive. The others are no longer just mirrors, they become a resource, in which the diversity of different individuals is seen as a positive aspect. A critical attitude appears in this core category for the first time. It is defined as collaborative critical inquiry, meaning that the group members are able to study and openly investigate topics together in the group through dialogue or other working methods. The basic concept of professional development has grown from the individual perspective of personalization and identity into personal professional development. Here the focus is on growth as a teacher or teacher tutor along professional dimensions, how to be a teacher, how to become a better teacher and learn what is new. The last basic concept, developing the educational program, extends from personal commitment and opportunity to developing peer group activities together. One gets ideas from others, and they are shared with each other in the group. Educational level is emphasized in the study of the teacher tutors. The main idea of the second core category has shifted from the self in the first category to the group as a space where individuals work together, and others exist as equally important members of the group. However, the main role of the others remains to support personal development, but at the same time development is not possible without the others. The role of the mentoring group is more professionally oriented than existentially oriented. The third core category is the broadest and, accordingly, it includes the two previous ones. All other basic concepts are extended except for otherness in the group, which implies that the significance of the self-other demarcation diminishes and that sharing and togetherness become more important. The first basic concept of being in the group shifts from security and belonging and equal and supportive space to a sharing dialogue, in which the participation of each individual is important. The basic concept of critical attitude appears as a collaborative inquiry and it grows into critical knowledge construction in the group. The investigation is taken to the next level by creating new understanding and knowledge of the shared topic. In addition, professional development takes the next step into shared professional development, where the growth of oneself or others in this dimension would not be possible without the group. For teacher students it is the platform for the growth of their future teaching profession whereas the teacher tutors develop their current work and profession in this context. The basic concept of developing the educational programme has shifted from commitment to and possibility of developing education and peer group activities towards developing teacher education as a community. Teacher tutors focus on the quality of group tutoring and the whole educational program. In this core category the mentoring group is already working together as a community, and the discussions include shared dialogue. The group is developing on the basis of critically constructed knowledge. Teachers’ professional development is shared and it expands to the spheres of teacher education and work quality, which is seen as a shared task. The levels of “self” and “other” fade out and the teacher education context becomes shared and it can be related to other, similar or even broader contexts. In phenomenography critical aspects are part of expanding the understanding of the phenomenon. The core categories are hierarchically organized and the critical aspects are placed in between the core categories, a precondition for the next category (Figure 2). The critical aspect in the transition from the first category of the individual’s role to the second category, seeing peers as developers of the profession, demands understanding the importance of others in the peer group, as well as the development of the peer group and the personal professional development enabled by being a member of the peer group. The second critical aspect between the second and third categories, co-creation of learning community, expands the idea of group membership from being a member of a group to belonging to a community and developing it as a learning community. Moving to the next category requires that the critical aspects are achieved, and all group members are committed to the group’s purpose and mission. The members of the peer group are equal and the diversity of competencies and skills contributes to group dynamics, but also enhances positive interdependence of other members. The two primary studies offered us different perspectives on the same phenomenon of peer group mentoring in higher education. The meta-analysis, instead, allows us to broaden the picture of the phenomenon and create a new level of understanding it. The core categories were found in both of those earlier studies, so they are common to teacher students in PSHSAE and PSAE group tutors. These are the essential elements and goals of the educational programs in higher education. Regarding the first category of our results, the individual’s participation in the group, similar significance of a peer group in the process of self-reflection of an individual has been recognized by Kaunisto, Estola, and Leiman (2013). Enhancing teachers’ professional development also necessitates the reflection which extends to a teacher’s personal experiences. One of the three main findings of their study was that the support of the group was essential for the individual’s self-reflection process. The questions and dialogue in the group provided opportunities for self-reflection: becoming aware of personal feelings. Self-reflection requires that the individual has the motivation and courage to participate and share personal matters in the group, that the group is built on ‘trust and motivation’ and that the process is long-lasting. (Kaunisto et al., 2013, pp. 416–417). Previous research has also identified two main functions of peer mentoring: career and psychosocial (Collins et al., 2014; Kram & Isabella, 1985; Thomas et al., 2015). Kaunisto et al., (2013, p. 417) even go so far as to conclude that ‘peer group processes can resemble psychotherapy processes’. These work for both in-service teachers and those in pre-service education (Kaunisto et al., 2013; Uitto, Kaunisto, Kelchtermans, & Estola, 2016). In such peer groups professional and personal experiences intertwine to enhance participants’ self-understanding and professional learning and development. In our research professional development with others appears in the second category. Similar results have been reported in other studies. Thomas et al., (2015) found that a participatory and collaborative practice was offered by voluntary peer mentoring circles with participants greatly benefitting from participation in these circles. Furthermore, Cinici (2016) concluded that pre-service teachers’ microteaching programs provided mentors and peers with both professional and social and psychosocial support. According to our results, the broadest, third peer group mentoring category highlights the community as a sharing and developing space. Other research has produced similar results. The learning community can have a positive impact on both teachers and students. It supports numerous aspects: continuous teacher learning enabling professional development, prioritizing learning for all members, facilitating the dissemination (sharing) of knowledge, skills, and insights, attending to human relationships, fostering inquiry, enhancing democratic governance, and providing for members’ self-fulfillment (Collinson, 2010; Vescio, Ross & Adams, 2008). Aderibigbe, Antiado & Anna (2015) have found that the peer mentoring group process is collaborative and enhances mutual learning, which has implications for the ways the activity is facilitated. All these aspects are equally well established in our study. The theories on group perspectives relate to our results. The social-identity perspective and belonging to the social group, especially identification with the group for the basis for the peer group mentoring function. A functional perspective can be seen in both our second and third categories, when the groups’ tasks and evaluative nature are obvious. A symbolic interpretative perspective can be seen in the second category in variations of themes. The social network perspective is related to the third communal category (Poole et al., 2005). In this study we have recognized how social activity forms places for learning communities in the form of peer group mentoring. They can form a sociocultural environment, a space for different students to learn, even communities of practice (Tynjälä, 2013). According to our study, the communal development aspect becomes feasible at the third level of group mentoring phenomenon. When studying mentoring circles, the same aspects of personal and professional development have been found, but also the communal and organizational development have been identified as significant benefits of mentoring (Darwin et al., 2009; Kroll, 2016). Belonging to a peer mentoring group develops social competency, regarded as generic skill, which is also timely in a teacher education and learning context (Tynjälä, Virtanen, Klemola, Kostiainen, & Rasku-Puttonen, 2016). Peer mentoring groups can thus be spaces in education where students can learn for working life and acquire everyday life competencies. The main impact of our research is the new information on peer group mentoring. Earlier studies on the same phenomenon and analysed with the same methodology of both teacher students and teacher tutors were not found. Similar categories at the level of the phenomenon are found not only with reference to the formal students’, but also in the tutors’ peer mentoring activities. These studies are based on experience and increase our understanding of a certain type of peer group mentoring activities in an educational context. For the future research of peer group mentoring there are two specific aspects that we as educators think need attention: we need more in-depth understanding of the mechanisms and aspects that enable the effects of peer group mentoring processes, as well as what is the role of the teacher/tutor/facilitator in this process. In our study we have been able to identify the peer group phenomenon as well as the related critical aspects. One possibility is to return to the levels of practices and scrutinize how they are manifested in real practice. Furthermore, in educational contexts peer groups are usually guided by a teacher tutor. The role of the teacher is what makes the difference: how to support “peerness” and peer mentoring instead of taking the role of leading or controlling the group? The challenge of “developing an appropriate pedagogy or group facilitation strategies that allow these groups to be authentic and safe places for professional development [...]. Deep professional learning demands the courage to reconsider one’s deeply held beliefs. Therefore, more in-depth understanding of how to create through peer groups a meeting place for this to happen, remains a complex, but essential condition.” (Uitto et al., 2016, p. 15.) Unfacilitated peer interaction can enforce negative attitudes and should thus be facilitated with some peer group instruction (Buchman 1998). This provides an important topic for future research, especially from the perspective of education: what is the role of the tutor in facilitated peer mentoring groups? What effect do the actions (controlling <-> pulling) of the tutor have on the group? How do groups with no tutor/teacher function? Even though an entire group of physiotherapy students and group tutors was examined, the main limitation of this study is typical of qualitative research: the sample is small. At the same time, the advantage of this is that a small data set makes it possible to go deeper in order to understand a phenomenon better. In fact, some phenomenographic studies have found that the saturation point can be as small as 11 participants (Mason, 2010; Täks, 2015). The research is based on authentic self-reported data: what the participants have written, with the results of the analysis being used to describe the phenomenon of peer groups in higher education, both from students’ and tutors’ viewpoints. Furthermore, the research results can be utilized as a tool of evaluation by the members of a peer group, in order to enhance learning within the group and its community development. Aderibigbe, S., Antiado, D. and Anna, A. (2015) 'Issues in peer mentoring for undergraduate students in a private university in the United Arab Emirates', International Journal of Evidence Based Coaching and Mentoring, 13(2), pp.64-80. Available at: https://radar.brookes.ac.uk/radar/items/1641d9e8-3d45-424b-8f50-6b0096075df0/1/.Åkerlind, G. (2005) 'Learning about phenomenography: Interviewing, data analysis and qualitative research paradigm', in Bowden, J.A. and Green, P. (eds.) Doing developmental phenomenography. Melbourne: RMIT University Press, pp.63-78.Åkerlind, G. (2008) 'A phenomenographic approach to developing academics` understanding of the nature of teaching and learning', Teaching in Higher Education, 13(6), pp.633-644. DOI: 10.1080/13562510802452350.Åkerlind, G. (2012) 'Variation and commonality in phenomenographic research methods', Higher Education Research & Development, 311, pp.115-127. DOI: 10.1080/07294360500284672.Altbach, P.G., Reisberg, L.A. and Rumbley, L.E. (2009) Trends in Global Higher Education: Tracking an Academic Revolution. Available at: http://www.cep.edu.rs/public/Altbach,_Reisberg,_Rumbley_Tracking_an_Academic_Revolution,_UNESCO_2009.pdf.Ashwin, P. (2003) 'Peer Support: Relations between the context, process and outcomes for the student who are supported', Instructional Science, 31, pp.159-173. DOI: 10.1023/A:1023227532029.Barroso, J. and Powell-Cope, G.M. (2000) 'Metasynthesis of qualitative research on living with HIV infection', Qualitative Health Research, 10(3), pp.340-353. DOI: 10.1177/104973200129118480.Black, F.M. and MacKenzie, J. (2008) Peer support in the first year. Quality Enhancement Themes: The First Year Experience. Quality Assurance Agency for Higher Education. Available at: https://intranet.birmingham.ac.uk/as/libraryservices/pass/documents/public/peer-support-final-report.pdf.Biggs, J. and Tang, C. (2011) Teaching for Quality Learning. What the Student Does (4th edn.). Society for research into Higher Education & Open University Press.Bion, W.R. (1961) Experiences in Groups. London: Tavistock.Boud, D. (1999) 'Peer Learning and Assessment', Assessment and Evaluation in Higher Education, 24(4), pp.413-426. DOI: 10.1080/0260293990240405.Boud, D., Cohen, R. and Sampson, J. (2001) Peer Learning in Higher Education: Learning from and with Each Other. London: Kogan Page.Breen, L., Drew, N., Pike, L., Pooley, J.A. and Young, A. (2001) 'Evaluation of the School of Psychology Peer Mentoring Program - Semester 1, 2000', Expanding Horizons in Teaching and Learning. Proceedings of the 10th Annual Teaching Learning Forum. 10th Annual Teaching Learning Forum, 7-9 February, Perth: Curtin University of Technology. Available at: http://ctl.curtin.edu.au/events/conferences/tlf/tlf2001/breen.html.Buchman, L. (1998) '‘Perhaps we’re thinking there isn’t a career out there for us’: a study off undergraduates’ attitudes to their future prospects', British Journal of Guidance and Counselling, 26, pp.417-434. DOI: 10.1080/03069889808253853.Cinici, A. (2016) 'Pre-service Teachers’ Science Teaching Self-efficacy Beliefs: The Influence of a Collaborative Peer Microteaching Program', Mentoring & Tutoring: Partnership in Learning, 24(3), pp.228-249. DOI: 10.1080/13611267.2016.1222812.Collins, A., Lewis, I., Stracke, E. and Vanderheide, R. (2014) 'Talking career across disciplines: Peer group mentoring for women academics', International Journal of Evidence Based Coaching and Mentoring, 12(1), pp.92-108. Available at: https://radar.brookes.ac.uk/radar/items/9c51d8e2-3e24-4ab8-90c5-7480bc2a0c05/1/.Collinson, V., Cook, T.F. and Conley, S. (2010) 'Organisational Learning in Schools and School systems: Improving Learning, Teaching and Leading', Theory Into Practice, 45(2), pp.107-116. DOI: 10.1207/s15430421tip4502_2.Darwin, A. and Palmer, E. (2009) 'Mentoring circles in higher education', Higher Education Research & Development, 28(2), pp.125-136. DOI: 10.1080/07294360902725017.Finfgeld, L. (2003) 'Metasynthesis: The State of the Art - So Far', Qualitative Health Research, 13(7), pp.893-904. DOI: 10.1177/1049732303253462.Freire, P. (1993) Pedagogy of the Oppressed (20th anniversary edn.). New York: Continuum.Geeraerts, K., Tynjälä, P., Heikkinen, H.L.T., Markkanen, I., Pennanen, M. and Gijbels, D. (2015) 'Peer-group mentoring as a tool for teacher development', European Journal of Teacher Education, 38(3), pp.358-377. DOI: 10.1080/02619768.2014.983068.Glaser, N., Hall, R. and Halperin, S. (2006) 'Students Supporting Students: The Effect of Peer Mentoring on the Experiences of First Year University Students', Journal of the Australia and New Zealand Student Services Association , 27, pp.4-19.Hall, R. and Jaugietis, Z. (2011) 'Developing Peer Mentoring through Evaluation', Innovative Higher Education, 36, pp.41-52. DOI: 10.1007/s10755-010-9156-6.Heikkinen, H., Tynjälä, P. and Jokinen, H. (eds.) (2012) Peer-Group Mentoring for Teacher Development. London: Routledge.Heirdsfield, A.M., Walker, S., Walsh, K. and Wills, L. (2008) 'Peer mentoring for first-year teacher education students: the mentors’ experience', Mentoring and Tutoring, 16, pp.109-124. DOI: 10.1080/13611260801916135.Holt, L.J. and Lopez, M.J. (2014) 'Characteristics and Correlates of Supportive Peer Mentoring: A Mixed Methods Study', Mentoring & Tutoring: Partnership in Learning, 22, pp.415-432. 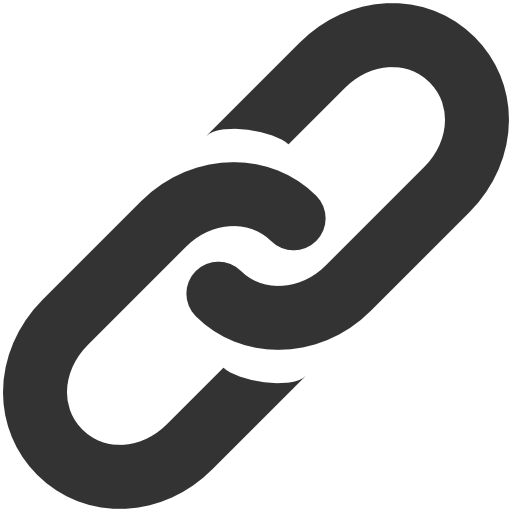 DOI: 10.1080/13611267.2014.983326.Hooks, B. (2003) Teaching community: a pedagogy of hope. New York: Routledge.Huizing, R.L. (2012) 'Mentoring Together: A Literature Review of Group Mentoring', Mentoring & Tutoring: Partnership in Learning, 20(1), pp.27-55. DOI: 10.1080/13611267.2012.645599.Hökkä, P. and Eteläpelto, A. (2014) 'Seeking new perspectives on the development of teacher education: A study of the Finnish context', Journal of Teacher Education, 65, pp.39-52. DOI: 10.1177/0022487113504220.Jacobi, M. (1991) 'Mentoring and Undergraduate Academic Success: A Literature Review', Review of Educational Research, 61(4), pp.505-532. DOI: 10.3102/00346543061004505.Kaunisto, S-L., Estola, E. and Leiman, M. (2013) '‘I’ve let myself get tired’ – one teacher’s self-reflection process in a peer group', Reflective Practice, 14, pp.406-419. DOI: 10.1080/14623943.2013.767236.Kolb, D.A. (1984) Experiential Learning: Experience as the Source of Learning and Development. Englewood Cliffs, N.J.: Prentice-Hall, Inc..Kram, K.E. and Isabella, L.A. (1985) 'Mentoring Alternatives: The Role of Peer Relationships in Career Development', The Academy of Management Journal, 28, pp.110-132. DOI: 10.2307/256064.Krause, K.-L. (2005) Understanding and promoting student engagement in university learning communities. Centre for the Study of Higher Education, The University of Melbourne. Available at: http://melbourne-cshe.unimelb.edu.au/__data/assets/pdf_file/0007/1761523/Stud_eng.pdf.Kroll, J. (2016) 'What Is Meant By The Term Group Mentoring? ', Mentoring & Tutoring: Partnership in Learning, 24, pp.44-58. DOI: 10.1080/13611267.2016.1165488.Malinen, A. (2000) Towards the Essence of Adult Experiential Learning: A Reading of the Theories of Knowles, Kolb, Mezirow, Revans and Schön. Jyväskylä, Finland: Sophi.Marton, F. (1981) 'Phenomenography – Describing conceptions of the world around us', Instructional Science, 10, pp.177-200. DOI: 10.1007/BF00132516.Marton, F. (1995) 'Cognosco ergo sum. Reflections on reflections', Nordisk Pedagogik, 15(3), pp.165-188.Marton, F. and Booth, S. (2009) Learning and awareness. Hillsdale, NJ: Lawrence Erlbaum.Marton, W.Y. and Pong, F.M. (2005) 'On the Unit of Description in Phenomenography', Higher Education Research & Development, 24, pp.335-348. DOI: 10.1080/07294360500284706.Mason, M. (2010) 'Sample Size and Saturation in PhD Studies Using Qualitative Interviews', Qualitative Social Research, 11(3). Available at: http://www.qualitative-research.net/index.php/fqs/article/view/1428/3028.Mee Lee, L. and Bush, T. (2003) 'Student mentoring in higher education: Hong Kong Baptist University', Mentoring and Tutoring: Partnership in Learning, 11, pp.263-271. DOI: 10.1080/1361126032000138319.Mezirow, J. (1991) Transformative Dimensions of Adult Learning. San Francisco, CA: Jossey-Bass.Moss, J., Teshima, J. and Leszcz, M. (2008) 'Peer Group Mentoring of Junior Faculty', Academic Psychiatry , 32(3), pp.230-235. DOI: 10.1176/appi.ap.32.3.230.Mulryan-Kane, C. (2010) 'Teaching large classes at college and university level: challenges and opportunities', Teaching in Higher Education, 15(2), pp.175-185. DOI: 10.1080/13562511003620001.Paakkari, L., Tynjälä, P. and Kannas, L. (2011) 'Critical aspects of student teachers’ conceptions of learning', Learning and Instruction, 21, pp.705-714. DOI: 10.1016/j.learninstruc.2011.03.003.Piirainen, A. (2014) 'The peer groups bridging the disciplines and social contexts in higher education', in Käpplinger, B., Lichte, N., Haberzeth, E. and Kulmus, C. (eds.) Changing configurations of adult education in transitional times. Berlin: Humboldt-Universität Press, pp.473-484.Piirainen, A. and Skaniakos, T. (2014) 'Pienryhmäohjaajien vertaisryhmä andragogisessa koulutuksessa (Peer group tutors in andracogical education)', Aikuiskasvatus, 2, pp.107-120.Poole, M.S., Hollingshead, A.B., McGrath, J.E., Moreland, R. and Rohrbaugh, J. (2005) 'Interdisciplinary Perspectives on Small Groups', in Hollingshead, A. and Poole, M. (eds.) Theories of Small Groups: Interdisciplinary Perspectives. Thousand Oaks, CA: Sage, pp.1-20.Rodger, S. and Tremblay, P. (2003) 'The Effects of a Peer Mentoring Program on Academic Success Among First Year University Students', The Canadian Journal of Higher Education, 3, pp.1-18. Available at: https://eric.ed.gov/?id=EJ788475.Quinn, F., Muldoon, R. and Hollingworth, A. (2002) 'Formal academic mentoring: a pilot scheme for first-year science students at a regional university', Mentoring & Tutoring, 10, pp.21-33. DOI: 10.1080/13611260220133126.Sandelowski, M. and Barroso, J. (2007) Handbook for synthesizing qualitative research. New York, NY: Springer.Schreiber, R., Crooks, D. and Stern, P.N. (1997) 'Qualitative meta-analysis', in Morse, J.M. (eds.) Completing a qualitative project: Details and dialogue. Thousand Oaks, CA: Sage, pp.311-326.Sherwood, G.D. (1997) 'Meta-synthesis of qualitative analyses of caring: Defining a therapeutic model of nursing', Advanced Practice Nursing Quarterly, 3, pp.32-42.Sherwood, G.D. (1999) 'Meta-synthesis: Merging qualitative studies to develop nursing knowledge', International Journal for Human Caring, 3, pp.37-42. DOI: 10.20467/1091-5710.3.1.37.Skaniakos, T., Penttinen, L. and Lairio, M. (2014) 'Peer group mentoring programs in Finnish higher education - Mentors’ perspectives', Mentoring & Tutoring: Partnership in Learning, 22, pp.74-86. DOI: 10.1080/13611267.2014.882609.Stigmar, M. (2016) 'Peer-to-peer Teaching in Higher Education: A Critical Literature Review', Mentoring & Tutoring: Partnership in Learning, 24, pp.124-136. DOI: 10.1080/13611267.2016.1178963.SunWolf (2008) Peer Groups: Expanding our study of small group communication. London: Sage.Terrion, J.L. and Leonard, D. (2007) 'A taxonomy of the characteristics of student peer mentors in higher education: findings from a literature review', Mentoring & Tutoring, 15, pp.149-164. DOI: 10.1080/13611260601086311.Thomas, N., Bystydzienski, J. and Desai, A. (2015) 'Changing institutional culture through peer mentoring of women STEM faculty', Innovative Higher Education, 40, pp.143-157. DOI: 10.1007/s10755-014-9300-9.Timulak, L. (2007) 'Identifying core categories of client-identified impact of helpful events in psychotherapy: A qualitative meta-analysis', Psychotherapy Research, 17, pp.305-314. DOI: 10.1080/10503300600608116.Timulak, L. (2009) 'Meta-analysis of qualitative studies: A tool for reviewing qualitative research findings in Psychotherapy', Psychotherapy Research , 19, pp.591-600. DOI: 10.1080/10503300802477989.Topping, K.J. (1996) 'The effectiveness of peer tutoring in further and higher education: A typology and review of the literature', Higher Education, 32, pp.321-345. DOI: 10.1007/BF00138870.Topping, K.J. (2005) 'Trends in Peer Learning', Educational Psychology, 25(6), pp.631-645.Tynjälä, P. (2013) 'Toward a 3-P Model of Workplace Learning: A Literature Review', Vocations and Learning, 6, pp.11-36. DOI: 10.1007/s12186-012-9091-z.Tynjälä, P., Virtanen, A., Klemola, U., Kostiainen, E. and Rasku-Puttonen, H. (2016) 'Developing social competence and other generic skills in teacher education: applying the model of integrative pedagogy', European Journal of Teacher Education, 39(3), pp.368-387. DOI: 10.1080/02619768.2016.1171314.Täks, M. (2015) Engineering students’ experiences of entrepreneurship education. A qualitative approach. Tartu, Estonia: University Tartu Press.Uitto, M., Kaunisto, S-L., Kelchtermans, G. and Estola, E. (2016) 'Peer group as a meeting place: Reconstructions of teachers self-understanding and the presence of vulnerability', International Journal of Educational Research, 75, pp.7-16. DOI: 10.1016/j.ijer.2015.10.004.Uljens, M. (1996) 'On the philosophical foundation of phenomenography', in Dall’Alba, G. and Hasselgren, B. (eds.) Reflections on phenomenography –Toward a methodology. Gothenborg: Acta Universitatis, Gothenburgensis, pp.105-113.Wenger, E. (1998) Communities of practice: learning, meaning and identity. Cambridge: Cambridge University Press.Vescio, V., Ross, D. and Adams, A. (2008) 'A review of research on the impact of professional learning communities on teaching practice and student learning', Teaching and Teacher Education, 24, pp.80-91. DOI: 10.1016/j.tate.2007.01.004.Wilcox, P., Winn, S. and Fyvie-Gaud, M. (2005) '‘It was nothing to do with the university, it was just the people’: The role of social support in the first-year experience of higher education', Studies in Higher Education, 30, pp.707-722. DOI: 10.1080/03075070500340036.Vygotsky, L.S. (1978) Mind in society: The development of higher psychological processes. Cambridge, MA: Harvard University Press. Dr Terhi Skaniakos is a university lecturer at the University of Tampere, Finland. Her research is related to teachers' professional development and guidance at university. Dr Arja Piirainen is university lecturer at the University of Jyväskylä, Finland. Her main research interest is the essence of andragogy, relationships among people in different situations.